Standard - $20.99 Only 5 left! To everyone else in the world, the Day of the Dead sounds like a spooky holiday that you only see in ghost movies where zombies and skeletons come up from their graves to feast on the living! To Mexico and a few other cultures, however, this holiday is a festival used to celebrate their ancestors and loved ones by dressing up as skeletons, and eating different foods and drinking beverages that were the deceased's favorites. They even have wonderful parades and special candies called sugar skulls to decorate and eat just for the occasion! 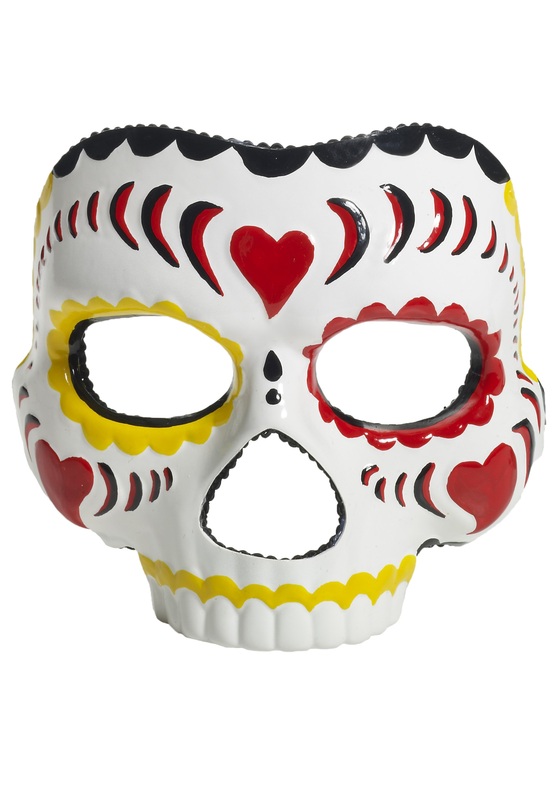 Of course we think the best part of the festivities are the fantastic decorative skull masks everybody wears. 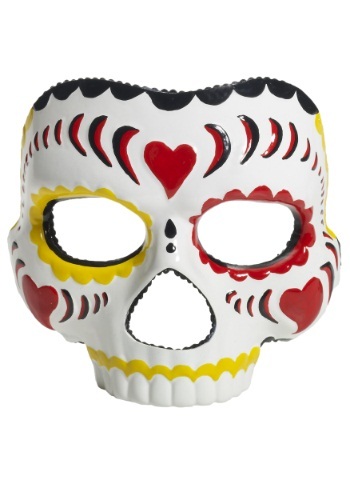 This one has an awesome red, yellow, and black design that's sure to complete your costume. The decoration around the eyes is actually inspired by the marigolds, a flower often used during the holiday to guide the spirits of the dead to visit the living. Who else gets to hang out with their ancestors during a celebration?